Wind turbines in western New York. Property access courtesy of Davis Valley Farm, LLC. Alright, so up to this point I have cited all the advantages of wind turbines. Unfortunately, their downside is that they kill 140,000 to 328,00 birds in North America, annually. 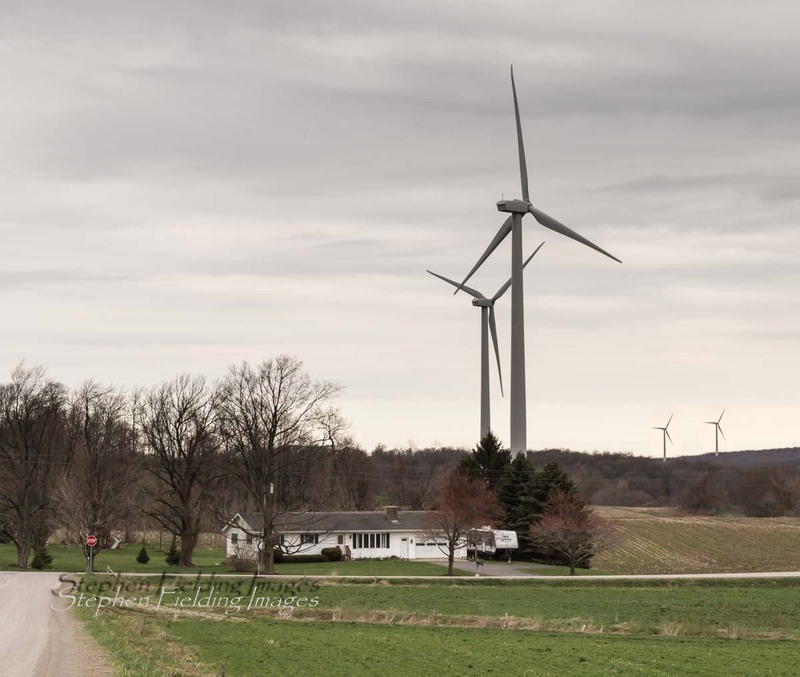 Both the Cornell Lab of Ornithology and the Audubon Society support the growing use of wind turbines, provided they are properly sited—the one known, effective means of minimizing wind turbine bird strikes. The major reduction of greenhouse gas emissions is paramount for our biosphere. To ignore the threat of climate change would not only threaten far more birds over time, but most of the current flora and fauna. We now know that birds migrate along the same flyways each season. The Atlantic flyway, passing through New York, extends from the bottom of South America to the Canadian Tundra. The U.S. Fish and Wildlife Service recommends that all new wind developments consider: avoiding bird migration routes, places where raptors’ prey congregates, and water-filled landscapes that would encourage birds to flock, such as wetlands. These are guidelines only, however. There is current testing of technical approaches, including: using purple turbine blades (white attracts insects which then attract birds), bird averse lighting systems, and GPS/radar the latter designed to detect flocks in time to shut down the turbines. However, the effectiveness of these approaches are not clear at this time. This is all I have to say about wind turbines. I still have to get one more good panorama when I have the best evening sky. 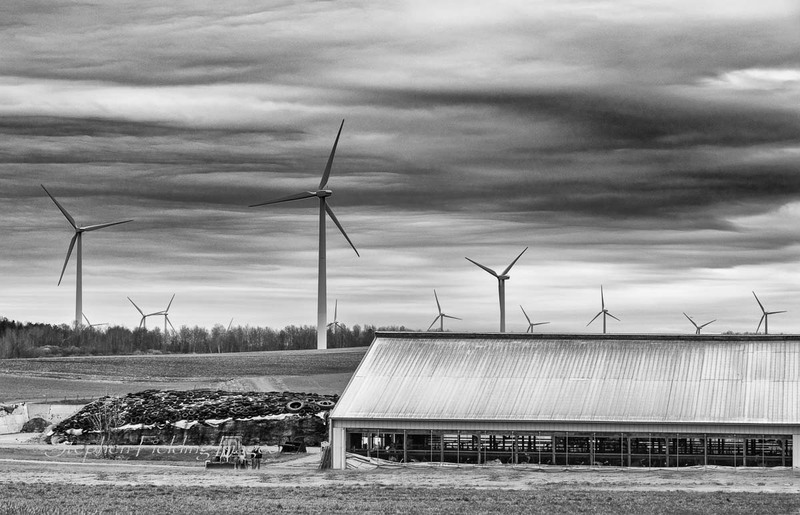 I will place a collection of my wind turbine photographs in my online gallery soon. I will let you know when I do. Please contact me with any questions or comments about our growing use of renewable energy.